I have two releases in store today. 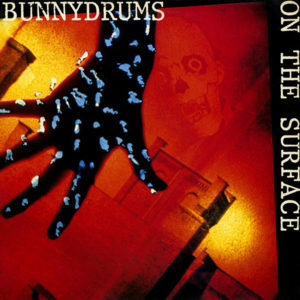 A request post will follow, but first up, here’s a stellar Bunnydrums 12” ripped straight from my personal collection. Please pardon the lack of updates over the past few days, my dears…but I have been indisposed and out of town. That said, I’ve dug up an old favorite for you folks today, one that were once on to something great before disbanding prematurely, but have since resurrected themselves and are a currently active and coherent unit. 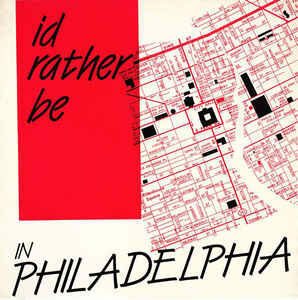 Bunnydrums culminated with various members of the Philadelphia punk rock scene in 1980. Keen on expanding the punk aesthetic with a slew of dance rhythms, saxophones, and electronics, Bunnydrums would set up shop and focus most of their energy recording, but would occasionally gig out in support of such bands as R.E.M., Pere Ubu, Bauhaus, and the Cult. 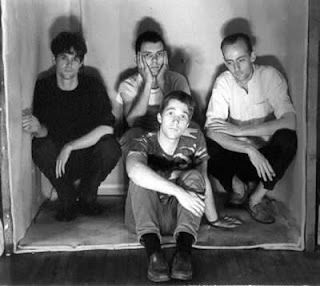 The band released a handful of singles, a duo of EPs, and two full length, 1983’s PKD and 1984’s Holy Moly before their split on New Year’s Eve, 1986. Though the current lineup occasionally explored other musical avenues and managed a few one-off shows the year after they split, the band would remain dormant until the new millennium, when the band shockingly reunited. Though they have yet to release new tracks, they’ve been gigging steadily in the east coast, and after signing to Metropolis Records, they have since remastered and re-released most of their back catalog on the compilation PKD/Simulacra. and here’s a youtube video of the revamped band performing the song ‘Closed Eyes’ live at the Trocadero in July of this year.